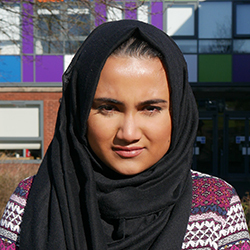 “I really enjoyed getting involved in the college environment – meeting new people and teachers. I also enjoyed having to be independent in my studies, but knowing I could go back to my teachers if ever needed to. Getting involved in extra curricular like the Shakespeare Academy and College Colours was also an enjoyable aspect of College life.